“It seems that all roads in the South lead to Atlanta,” begins a new report by Ryan Schlegel and Stephanie Peng of the National Committee for Responsive Philanthropy (NCRP). Titled “Bearing Fruit,” the report notes that while Atlanta within the South has often painted itself with a progressive veneer, “Atlanta’s growth and its forward-looking political climate have left many communities, especially low-income communities and communities of color, behind.” Schlegel and Peng profiles the efforts of three community organizations, a local funding intermediary, and two national funders that are aiming to change that. The report forms the fourth in NCRP’s As the South Grows series, which is being co-produced by NCRP and Grantmakers for Southern Progress. The series is ultimately expected to consist of five reports. NPQ covered the series’ first report, as well as its most recent report (which focused on environmental justice), and cosponsored a webinar with NCRP last month. The first three reports in the series mainly focused on rural communities. But this one focuses instead on Atlanta, the nation’s ninth-largest metropolitan region and the Deep South’s largest urban center. The majority Black city of Atlanta (53.5 percent of residents, with 36.3 percent white, and the remainder Latinx, Asian, American Indian, or other) has long been a Black cultural hub. The Rev. Martin Luther King Jr. grew up and preached in the city’s famed Sweet Auburn neighborhood. Atlanta also houses some of the nation’s leading historically black colleges and universities, such as Spelman, Morehouse, Morehouse School of Medicine, and Clark Atlanta University in the city’s Westside neighborhood. Together, these schools form the Atlanta University Center Consortium. More recently, Atlanta was the site of production for the Black Panther film, with some scenes shot in the Sweet Auburn district; last month, the city’s airport announced in jest that it was offering direct flights to the mythical country of Wakanda. Policy, by and large, has exacerbated these tensions. For example, Schlegel and Peng point out that “between 2010 and 2014, the city lost 5,300 units of affordable housing, while it gained close to 25,000 ‘luxury apartment’ units.” Schlegel and Peng add that a stunning 84 percent of Atlanta residents earning less than $35,000 a year are “housing insecure,” meaning that housing eats up more than 30 percent of their income. Atlanta, in short, is a city of stark contrasts. And it is in this context that community groups operate. As part of their report, Schlegel and Peng profile three community leaders: Mary Hooks of Southerners on New Ground (SONG), Adelina Nicholls of Georgia Latino Alliance for Human Rights, and Xochitl Bervera of the Racial Justice Action Center. Adelina Nicholls of the Georgia Latino Alliance for Human Rights partners regularly with SONG, especially on sanctuary city work. Project South has also been an important partner in this work. Nicholls notes that 54,000 people in Atlanta have been processed for deportation, so the scale of the challenge is enormous. The group has gotten four area counties (Fulton, Clayton, DeKalb, and Fayette), and three cities (Atlanta, Clarkston, and Decatur) to stop collaborating with the Immigration and Customs Enforcement (ICE) agency. The community work is critical, but, as Schlegel and Peng argue, community work, to be maximally effective, requires resources. In Atlanta, grantmaking per capita totals $453, which is roughly at the same level as the nation as a whole. However, the amount of grantmaking pales compared to wealthier northern cities, such as New York City ($1,966 per capita) or San Francisco ($4,095 per capita). Moreover, the money that Atlanta philanthropy does provide does not necessarily support structural economic and social changes that promote greater equity. Schlegel and Peng write that “in a city where people of color are a majority and entrenched poverty remains a challenge, just 20 percent of funding” goes to underserved populations. Moreover, strategies that might be likely to address structural imbalances are scantily supported. Based on the figures in Schlegel and Peng’s report, only 1.9 percent of Atlanta grantmaking supports “power building” strategies and 0.2 percent supports “human rights” strategies. Community economic development does only somewhat better at 3.3 percent. Excluding the 17.3 percent of funding that is not categorized (“other”), the main categories of current philanthropy, as tracked over a five-year period from 2010 to 2014 are health (28.5 percent), education (28.5 percent), capacity building (12.4 percent), and human services (7.9 percent). Fortunately, some folks in Atlanta are trying to change Atlanta philanthropy to resource community groups to be able to more effectively challenge structural inequalities. Nathaniel Smith directs the Partnership for Southern Equity. Founded in 2009, the organization acts as a convener and aims to build an “equity ecosystem” for the Atlanta region. The group organizes most of its work into three focus areas—equitable growth, inclusion, and energy equity—and hosts “tables” in each of these areas that engage more than 70 partners ranging from local nonprofits to national nonprofits to government agencies. Tené Traylor, who is the Atlanta Fund advisor for the Kendeda Fund, a private foundation that is based in Atlanta but operates nationally, contends that, “The trajectory of Atlanta’s growth offers an opportunity for local philanthropy to lean in and invest in marginalized communities.” The test for philanthropy, Traylor adds, is to, as Schlegel and Peng put it, “devise pathways to genuinely advance economic inclusion, not just growth.” Yet since 2000, the number of high-poverty neighborhoods in Atlanta has tripled, even as the city’s wealth has grown. 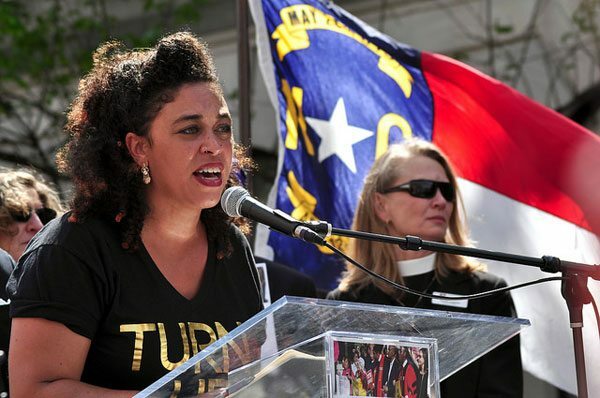 According to Traylor, part of the challenge is that the political culture of Atlanta, to the extent that it has rewarded activism, has favored individual activism, not, as Schlegel and Peng phrase it, “collective action or organizing rooted in dismantling legacies of harm.” Traylor says the fund she advises focuses in two areas: economic opportunity and education. On the economic development side, Kendeda provides support for permanent housing affordability (such as community land trusts), supports community wealth building through worker and community-owned businesses, and backs expanding access to transit so that residents can commute to jobs. Don’t accept that a highly productive economy and robust social service sector are enough for people to have what they need to thrive. Make sure data that inform your priorities and strategies are disaggregated by race, gender, income, sexual identity, etc. Recognize how much work it takes to organize marginalized communities against Atlanta’s and other Southern cities’ dominant political culture and invest in the evolution of policy and culture in a way that is defined by people who don’t see themselves in the glossy marketing materials for a bustling city. build formal and informal relationships with allies—that means patient, risk-tolerant capital—and coalition on your grantees’ terms, not yours. Give general support grants to your Southern grantees—invest in infrastructure organizations to exist, not just to complete projects. Understand who your philanthropic partners are and who they aren’t, wrestling with history, context, power and priorities. The authors don’t directly address the impact of the South on national politics and culture, but of course the “solid South”—both in its former Democratic Party variety and its current Republican Party variant—has historically been hugely important in the United States. It might be worth remembering that Newt Gingrich, the Republican who led the shift of the Southern delegation in Congress from the Democratic Party into the Republican column in 1994, was a congressman from Marietta, an Atlanta suburb. One doesn’t have to follow history too closely to recognize the critical importance and role of the South to the cause of equity nationally. In other words, those who focus their grantmaking on social justice and racial equity nationally, but who fail to adequately invest resources in the South, do so at their own peril. As the racial disparities in health outcomes demonstrate, many Atlanta residents of color continue to be left behind. Investing in low-income communities and communities of color is one step to turning this around.